Most electrical wiring jobs are relatively straightforward, but there are situations where adding a switch is either impossible or incredibly expensive due to cabling limitations. Adding a switch on the patio out to the pool pump or spa would normally mean a whole lot of digging up of the lawn. Adding in a second light switch at the bottom of stairs where there is no current wiring in the wall could mean a lot of plaster holes, long drill bits, threading and patching. There are also situations where additional cabling is just straight out impossible, such as heritage homes or homes with concrete walls, ceilings or floors. Luckily technology has come to the rescue with new wireless switches. We recommend and use the wireless Legrand ZigBee range. What happens is we install a special receiver in the ceiling near the light, or near the outdoor pool pump etc. These receivers are out of sight, but very powerful. You then have a battery operated remote control wireless switch (transmitter switch) that interacts with the receiver and turns on the light, pump or whatever home automation you are installing. We can mount this wireless switch on any wall with screws or double-sided tape, or you can even place the switch on a table or cupboard just like your TV remote (which we wouldn’t recommend if you have young kids who tend to lose the remotes). 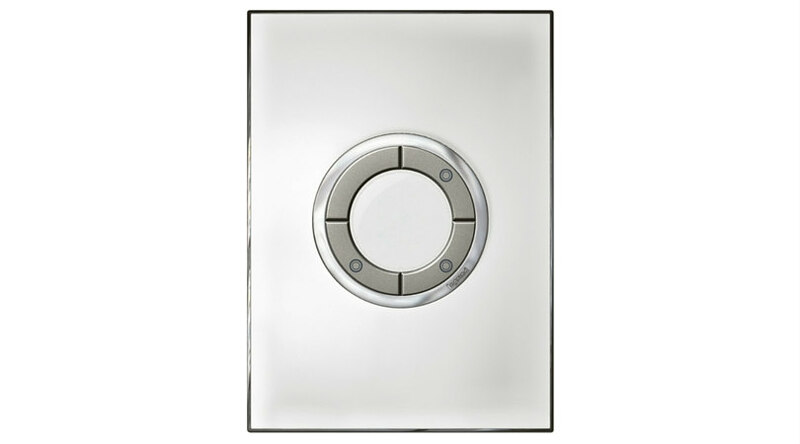 The switch plates for these remote control switches come in a range of stylish finishes and looks, with touch plates available in square, rectangular designs or micro push switch styles. And there are colours, and finishes to suit any home décor. So the good news is that if you have a tricky switch requirement, give us a call as you now have cost-effective options that don’t involve jackhammers or loads of little holes in the wall. Call us for more information about the Legrand ZigBee wireless switches.